To start with we need to establish that I don’t like OfficeSpeak™. There’s a reason why I quit the boring marketing job to Wocky full time. It certainly wasn’t the money. It had everything to do with all the meetings that Barny and I don’t have. And the office gossip we don’t participate in, unless Morty’s poo habits count. The tea breaks are now of a much higher standard as well. That being said, corporate twaddle is superficially all about efficiency; before you get into the soul-sucking meetings and team-huddles and blue sky thinking. Ignore all of that, but we have taken away the idea of a good, solid workflow. A better standard of blue sky thinking. 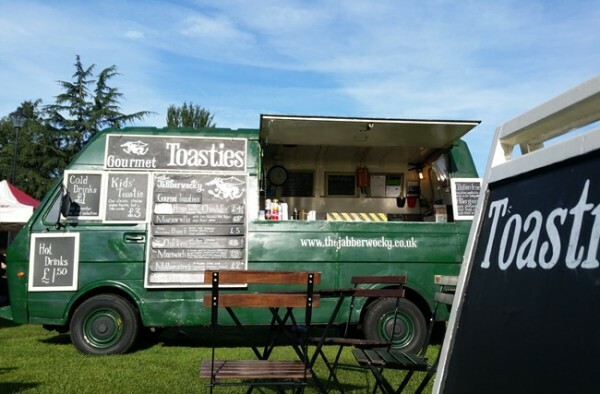 It only became apparent when we first started to employ staff, and had to show them how to make a toastie. You scoff, no doubt (I can just picture you doing it. I can’t believe you’re drinking port at this time of day) but making a toastie isn’t just throwing delicious, well sourced ingredients into bread. You have to consider melting points, ingredient coverage and eating experience. Actually I’m not sure you have to, but we do. 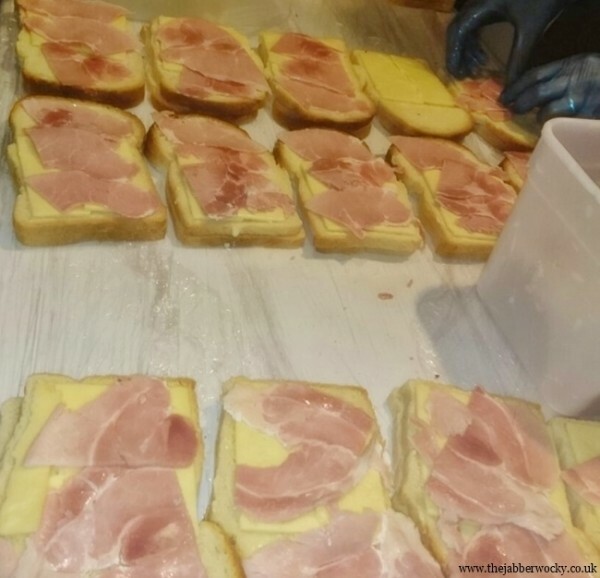 Each toastie is therefore assembled in a particular way, and each tray of toasties put together as efficiently as we can manage. Toast is money and what not. 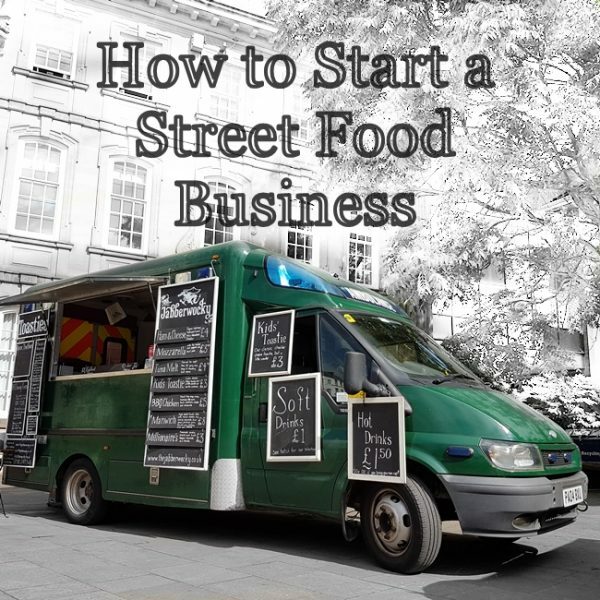 As we’re all about staring street food tips here, I wanted to share, in case it helps. Having made 50,000ish toasties over the last few years we have been endlessly hunting for the fastest way to get bread laid out, buttered, opened, filled, stacked and wrapped. I won’t bore you with the details; for they are insanely boring if you are not an obsessive toastie-maker, but apart from getting hold of a decent machine for speeding up the buttering process, we are about as fast as we can be. It didn’t involve any meetings with management, which was lucky, as Morty has recently bought majority share holdings and decided all meetings must be conducted at the swings. It was just a gentle process of thinking about what you’re doing. It’s not all high-jinx and tea. Occasionally we make toasties as well. Sometimes we forget how to bread. Happens to the best of us. I will bore you with a few examples. Maybe that will help after all. Make it into a production line. As with any repetitive task, you’re better off grouping them together. We butter 96 slices of bread, and make 48 toasties, filled 24 at a time. Move things closer. Which sounds really obvious, but when you’re reaching out to grab something 48 times, making it half a second closer is exactly 24 seconds less boring. Get your fridge door on the right way round. This is more specific to vans with fridges on board. We still need to do this in Betty. Walking round the fridge door each time is great for the step-count, but otherwise tedious. There are a hundred other examples specific to our version of toastie making that save us bits and pieces of time and money here and there. Individually they sound like we don’t get out enough and really need a holiday, but collectively they are the difference between us 5 years ago: just about scraping out a profit while we both work full time, and the Jabberwocky employing us both now. That’s probably a little over-dramatic. We have learnt more than just how to move a tray closer, but indulging in a tiny bit of optimisation actually works, and might make street food a more pleasant job for you as well. Hence the blog post. If workflow obsession is not your cup of tea then you can at least take solace in the fact that you are not the only person to thoroughly over-think a topic you’re excited about, and let us all pledge to occasionally get out more.